The Court of Appeals holds that the filing of an EEOC charge does not toll the statute of limitations for related state torts claims. This is worth knowing if you handle cases like this, and it requires that you keep both eyes on the calendar. The case is Castagna v. Luceno, decided on May 5. Imagine how this all plays out. A client comes to you with a sexual harassment lawsuit that you can file under Title VII. The harasser also touched her inappropriately, so the potential client also has state law claims for assault and battery and maybe even intentional infliction of emotional distress. So you file the EEOC charge to preserve her right to proceed under Title VII in federal court. You have 300 days to do that in New York. But what about the statute of limitations on the state law torts claims? Normally, in New York, intentional torts carry a one-year statute of limitations. But sometimes the EEOC process takes more than a year to wind down before you get the Right-to-Sue letter that allows you to sue in federal court. The dilemma is that you don't want to waive the state law claims. The possibility exists that, at trial, you win under state law but lose under Title VII. That can happen if management properly responded to the plaintiff's in-house sexual harassment complaints, giving the defendants a legitimate affirmative defense under the Supreme Court's rulings in Faragher and Ellerth. But that does not prevent the plaintiff from prevailing against the harasser himself for assault and battery, no matter how effectively management handled her in-house complaints. Bottom line: you have to sue under federal and state law to preserve your client's rights. Our Court has not previously determined whether filing an EEOC charge tolls the statute of limitations for state tort claims arising from the same nucleus of facts as underlie the EEOC charge. We now join the U.S. Courts of Appeals for the Seventh and Ninth Circuits in holding as a matter of federal law that filing an EEOC charge does not toll the limitations period for state‐law tort claims, even if those claims arise out of the same factual circumstances as the discrimination alleged in the EEOC charge. What this means in plain English is that when you file the EEOC charge, the statute of limitations on the state claims continues to run. The problem for plaintiff in Castagna v. Luceno is that the statute of limitations on the state law claims did expire by the time her lawsuit was filed in federal court. After the district court threw out the state law claims on timeliness grounds, her lawyer argued in the Court of Appeals that "were the statute of limitations for state tort claims not tolled pending the EEOC’s consideration of a charge of discrimination, to preserve her claims, a litigant would be forced first to bring a tort case in state court 'and later bring a federal, discrimination related claim in federal court ... with an identical set of facts,' thereby 'thwart[ing] . . . the judicial efficiency encouraged by the grant of supplemental jurisdiction ... in 28 U.S.C. § 1367. '” Not a bad argument, but the Court of Appeals says that "although EEOC proceedings 'often are beneficial' in resolving workplace disputes, ...'nonetheless ...Congress did not intend for these proceedings to delay independent avenues of redress.'" In addition, "a plaintiff who in the future finds herself in Castagna’s situation 'may ask [a] court to stay proceedings' in the initial action 'until the [EEOC’s] administrative efforts ... have been completed. '” The plaintiff's state law claims in this case are gone. 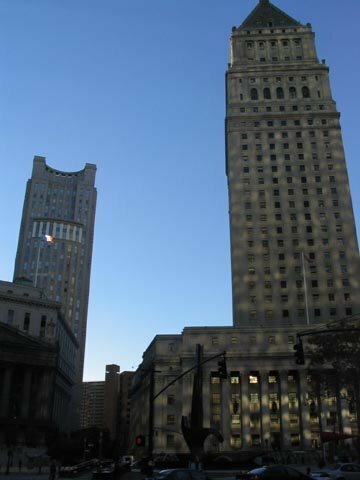 Plaintiff finally argues to the Court of Appeals that "New York law mandates tolling of the time in which to file her state tort claims, again because of the pendency of her EEOC charge." The Court does not take up this argument because plaintiff did not assert them in the district court and they are therefore waived. So here's the bottom line: if you have a Title VII claim and also want to pursue state law claims in the federal lawsuit, to ensure that the statute of limitations on the state law claims is not blown by the time you get the Right-to-Sue letter, you may have to file the tort claims in state court while the EEOC charge is pending (unless you know you can get the Right-to-Sue letter within 365 days after the plaintiff suffered the state law violations, which is a possibility if you file the EEOC charge soon after the sexual harassment took place). If you don't want to litigate related claims in separate courts (and who does? ), when the Title VII case is finally brought in federal court, you can try to consolidate all claims in the federal action, resulting in the voluntary dismissal of the state lawsuit.